Alex Hilton-Baird founded commercial finance brokerage Hilton-Baird Financial Solutions in August 1997 while studying for a Masters degree, and has since seen the Hilton-Baird brand grow into a group of five companies that directly employees more than 50 people across the UK and Poland. Now additionally comprising a commercial debt collection agency, risk management specialist, lead generation agency and, most recently, an advisory firm, the Group offers a wide portfolio of complementary services to SMEs and the UK and European asset based finance and insolvency markets. 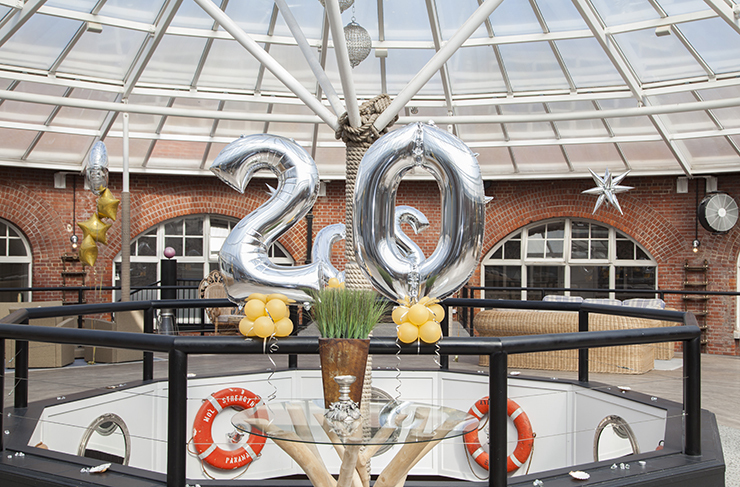 “It gives me immense pride and satisfaction to say that the company is now 20 years old. It has come a long way since I started out by cold calling businesses from my student flat in north London to see if I could add any value to their search for funding. “With over 50 full-time employees we are able to deliver market leading solutions to the banking and insolvency firms we work with on a daily basis, helping our clients to generate new business and manage their risk successfully. For further enquiries, please contact Jamie Weeden at the Hilton-Baird Group on 023 8070 6637 or by emailing jamie.weeden@hiltonbaird.co.uk. The Hilton-Baird Group provides working capital and risk solutions to businesses and lenders from across the UK and Europe. It comprises a commercial finance brokerage, debt collection agency and risk management agency, and has helped thousands of businesses to improve their cash flow and achieve their objectives. Find out more about Hilton-Baird at www.hiltonbaird.co.uk. For more information about the Hilton-Baird Group, contact Alex Hilton-Baird on 07958 745088 or email alex@hiltonbaird.co.uk. 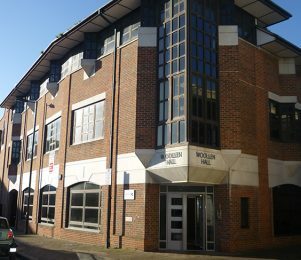 Today is a very exciting day for all of us at the Hilton-Baird Group as we wave goodbye to our old office and move down the road to our new headquarters in the heart of Southampton. 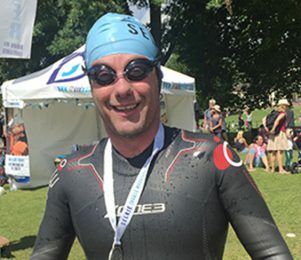 Our CEO, Alex Hilton-Baird, took part in the Thames Marathon Bridge to Bridge 14km swim in support of Wessex Cancer Trust. 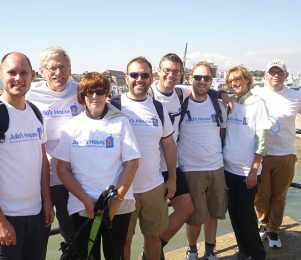 The Hilton-Baird Group has pushed through the pain barrier to raise over £6,000 for Dorset children’s hospice, Julia’s House.